Calling all recreationists and outdoorspeople! It is the season of giving, so please consider ways to give back to your local fish habitat which provides drinking water, food, and recreational opportunities. While outdoors we often use our phones to gather “selfish data” (like a great new photo for Instagram, or tracking our running/cycling records on STRAVA). 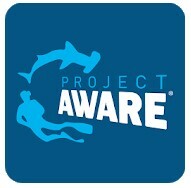 Why not help conserve fish habitat at the same time? One easy (and free!) way is to help scientists gather data. Here are seven citizen science apps that make it easy for you to contribute data while you enjoy all kinds of activities around water bodies. These apps fall into two main camps: those based on gathering physical characteristics like the color of the water, and those which gather data on chemical characteristics which require water testing kits. I’ve ordered the apps from the most quick and easy to the more advanced and involved. Take a look and see which one fits with your lifestyle, activities, and interests! Note: Remoteness is not an issue. Most of these apps will store everything you record until you return to service or Wi-Fi. 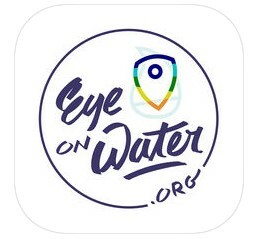 The Eye on Water app simply works by you snapping a pic of the water’s surface, and it will classify its color. Water color can inform scientists about the types of algae and organic content present in the water. By doing this effortless task during your daily routine, you can help the assessment of many more water bodies than could ever be sampled by researchers. The StreamTracker in the CitSci App helps scientists track when streams and creeks dry up. It requires a quick visual assessment of a stream in a location that you visit regularly. You are asked to observe the presence or absence of water at that stream as often as possible so that flows can be better understood. As climate change shifts local precipitation patterns, understanding your stream’s waterflow will help communities adapt so that irrigation and hydropower activities can continue while ensuring ample water supply to the stream for fish habitat. Crowdwater gathers data on water level , intermittency, soil moisture, and flow rate. It measures water level by digitally superimposing a gauging staff (like a ruler) on top of a photo you take. To measure intermittency and soil moisture, you simply have to pick the best option from menus of descriptions (e.g. for soil moisture:“dry”, “gradually wet”, “muddy”, “rain/snow”). Measuring flow rate requires that you time a floating object for a known distance. A good way to do this is to partially peel an orange until it floats just under the surface of the water (neutrally buoyant), and time how long it takes to travel for a fixed distance (e.g., use your height). To be most accurate, do this at least 3 times and take an average. These data help water scientists achieve higher spatial and temporal resolution in their analyses and provide the foundation for management decisions. Even when you’re not outside you can use this app by playing Crowdwater’s online game where you help to edit and perform quality control on submitted data. The Dive Against Debris app is perfect for SCUBA divers, snorkelers, and spearfishers. It allows you to record where, how much, and what types of garbage you have cleaned up from your favorite dive spots to help develop a global dataset on marine debris. Trash in the water can be a physical threat to wildlife, such as fish getting caught by their gills, as well as a chemical threat as compounds leech into the water which can affect reproduction and juvenile development. 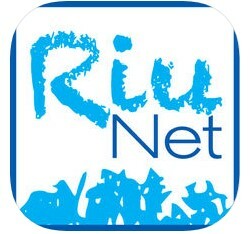 RiuNet is for citizen scientists who want to take their efforts to the next level. Not only do you gather a large amount of physical information about your stream or river, but you also gather biological data. You will be asked to make observations about the human activity surrounding the river (nearby dams, wells, diversions), the plant life surrounding the river (agriculture, trees, grasslands), as well as getting your feet wet to gather and identify invertebrates. The presence of certain types of invertebrate over other types tells you a lot about the health of a stream. The app walks you through all of this, and even includes an interactive key to help identify the invertebrates. Note: This app was originally developed in Spain. It may be necessary to request English translation. 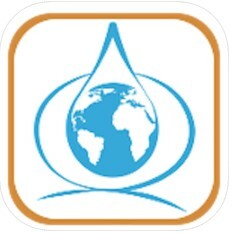 The last two apps, FreshWater Watch and WaterRangers, are centered on creating networks of citizen scientists through monitoring and water chemistry testing of local watersheds. Organized groups such as clubs, businesses, charities, or schools can approach EarthWatch Institute to initiate a FreshWaterWatch event, where they can get trained on a water chemistry testing protocol and be outfitted with testing kits. 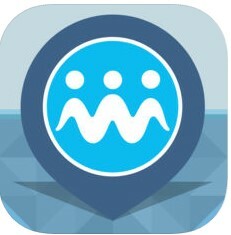 The app allows them to upload their data and connect with other folks in the FreshWaterWatch community. Water chemistry analysis will tell you what pH the stream is, how much oxygen is in the water, and whether there are any toxic chemicals that might be being leeched from a nearby source. The chemistry of the water is one of the basic building blocks for a healthy habitat for plants and animals in the water and nearby. 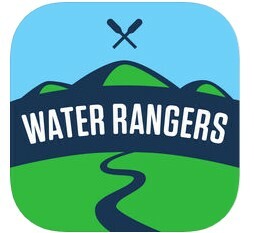 WaterRangers is another group primarily interested in collecting water chemistry data and outfits individuals and groups with test kits. However, it also has an incredibly wide range of functionalities and is highly customizable. You can establish a site, protocol, and list of desired observations that you can repeat at your local stream, or you can navigate to designated sites and follow provided protocols. If you do not have a water chemistry testing kit, you can still contribute by simply recording events like ice-off, noting pollution, or identifying invasive species. The Next World Fish Migration Day is Just Around the Bend!